In the Free City of Cadwallon, a constant shadowy struggle for power simmers just below the surface of the seemingly peaceful city. Mighty guilds constantly vie for power, influence, and control. Using your influence and instincts, can you turn the neverending struggle for power between the guilds to your advantage? Take control of the famous City of Thieves set in the Confrontation universe! 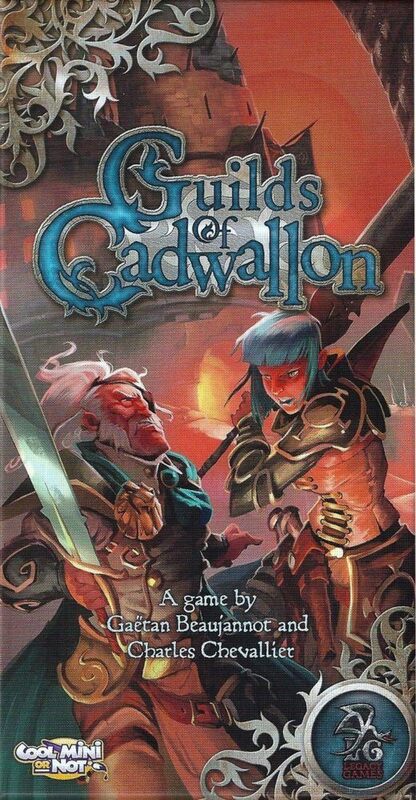 Guilds of Cadwallon is a fast, tactical board game in which 2-8 players try to accumulate as many Guild Points as possible by using their agents to control city districts, with a randomized 3×3 square of cards (4×4 or 5×5 depending on the number of players) representing the city over several rounds.